If you’re the MBTA, you LIST IT! 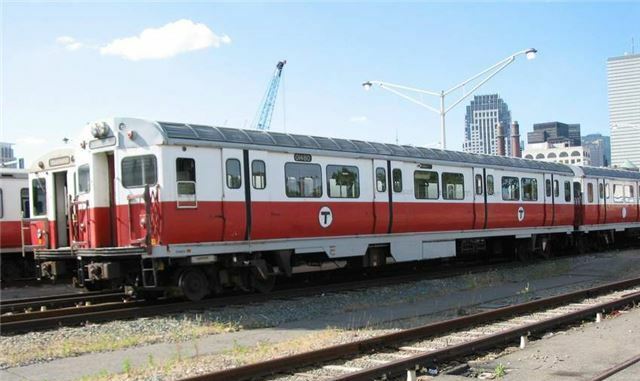 The regional transit agency’s fiscal board voted on Monday afternoon to purchase $277 million worth of Red Line cars instead of renovating its “newer” trains from the 90s—a move that will not only replace but grow the operation by 8 complete sets. The order goes to the same Chinese manufacturer already picked to build replacements for the entire Orange Line as well as the oldest members of the Red fleet. When the trains are fully in operation, the beefed up Red Line will be able to carry an additional 10,000 passengers an hour with subways running every 3 minutes as opposed to the current 5-minute peak headways. However, don’t head to South Station (two stops away from Seaport’s own Silver Line stop!) expecting to see these snazzy rides quite yet. The 266-car order won’t start to roll out until 2019 and won’t fully rock the rails until 2023—so bear with those carpeted seats a little longer. In the meantime, listen to Keytar Bear play at the other end of the platform at Downtown Crossing and dream about how your 7-years-older self won’t have to deal with running late to dinner in Harvard Square because of a disabled train at JFK!